For the first time ever the biggest cruise ship in the world is sailing a transatlantic cruise. Harmony of the Seas is heading to the United States for the first time since it entered service in May 2016. The ship is sailing a 14-day cruise which departed Barcelona, Spain on October 23. 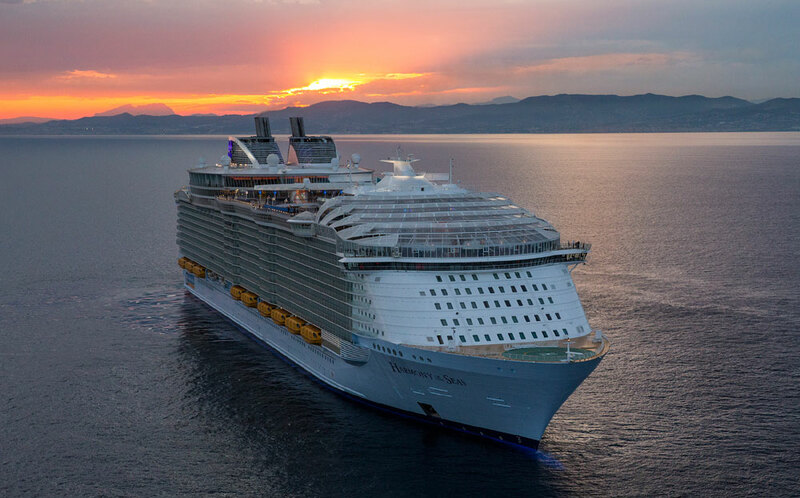 During the transatlantic voyage, Harmony of the Seas will call at Palma de Mallorca and Malaga before hitting the open seas of the Atlantic Ocean. The crossing which can be choppy at times will come to an end when the ship arrives at its new home port of Port Everglades, Florida on November 5. Harmony of the Seas will sail its debut 4-day cruise out of Port Everglades on November 5 before celebrating its christening in its home port on November 10. The ship will be christened by 3-year-old Brittany Affolter which Cruise Hive previously reported on. 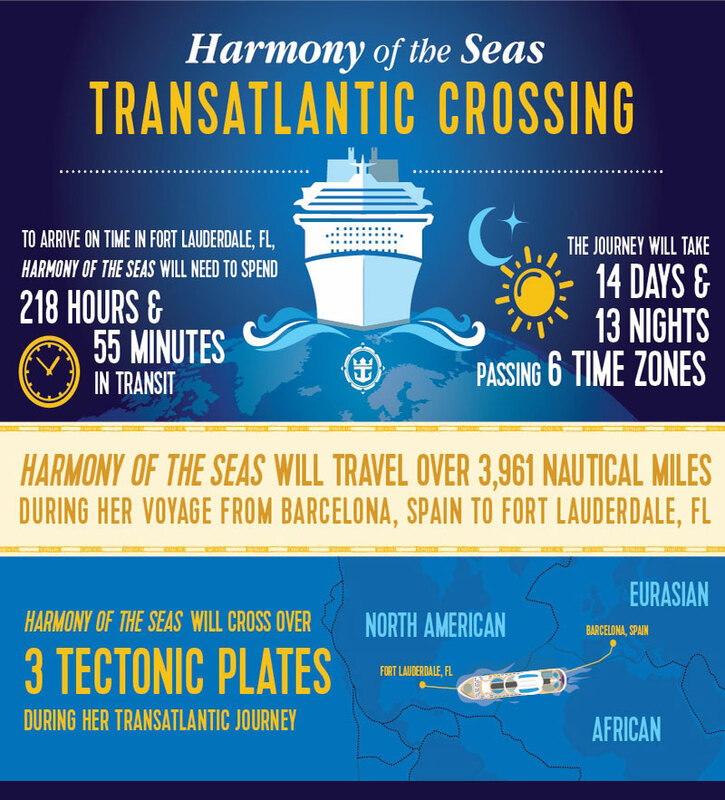 Royal Caribbean has put together an informative infographic for the ships first ever transatlantic crossing. Harmony of the Seas will introduce ground-breaking features like the 10-story high Ultimate Abyss slide to the U.S. market. The ship is 227,000 gross tons and is the third in the Oasis class. Harmony of the Seas can carry 5,475 passengers at double occupancy.